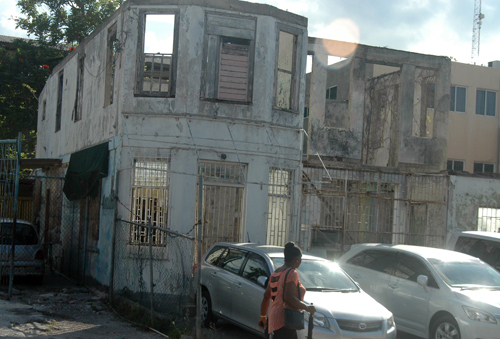 Efforts by the St James Municipal Corporation to rid the city of Montego Bay of several abandoned and unsightly buildings, are proving frustrating. The list includes premises at the old Vassell building, 3 Albion Lane, 8 Hart Street, registered to Transworld Traders Int. Ltd.; 36 Barnet View Gardens, registered to Adella Johnson, et al; one on Barracks Road, registered to Percival Wilson. On Market Street, 33 which is registered to Luiton Lewin; 50, registered to George Downer and 52, registered to Derrick McLeod. 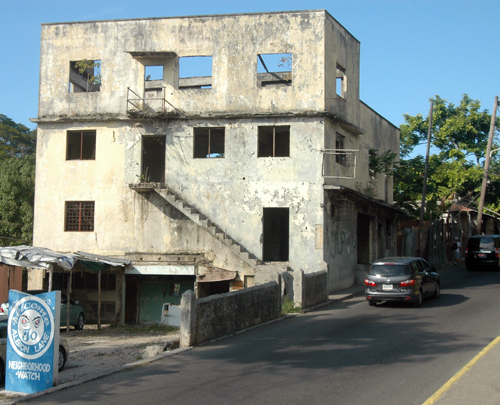 The old Vassell building at Albion Lane, once the place of choice for poor Montegonians shopping wholesale, now a nuisance in the city. The others are: 8 Queen’s Street, registered to Marion James, et al; 8 Queen’s Drive, registered to Fred Smith; 18, Thompson Street, registered to Ivy Craig and 42 Union Street, registered to West Indies Union of SDA. However, in recent months, the Corporation’s desire to see the declared nuisance abated has had to be tempered. They have been in court for months for “a Conditional Order to abate or give the Council (Corporation) authority to dispose of these properties” but at each succeeding meeting, the Corporation has been hearing that here has been no further update and they were still in the court. Other councillors agreed with him, stressing that, “They are a clear and present danger” and should be removed forthwith.